One can say that business is the opportunity to convert risk into reward. In the past 18 months, 16 ethanol companies representing more than 50 plant locations found reward totally beyond their grasp, got overtaken by risk, and filed for bankruptcy protection. The question for those who hope to succeed in today’s ethanol industry is whether the rules of the game have changed, and if so, what’s the appropriate way forward? Ethanol Today asked a number of industry veterans to distill lessons from the fiscal bloodletting of 2008 and 2009. None of the wisdom is really new, but the economic challenges of this year-and-a-half have brought these rules of thumb into sharper focus. 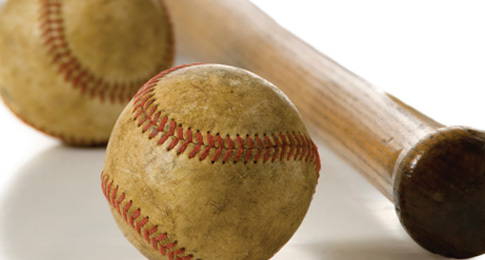 To capture the overall change in strategy, John Christianson likes a baseball metaphor. “Ethanol companies need to hit more singles – get that grind margin more consistent – instead of hitting some homeruns, with a lot of strikeouts,” said Christianson, who has developed one of the most well-respected benchmarking database software systems for ethanol companies, a key service provided by his Willmar, Minnesota-based CPA firm, Christianson and Associates, PLLP. Along with greater consistency of (smaller) positive margins, our ethanol industry experts point to benchmarking as the only way to make the cold, hard, brutal fact of consolidation work in your favor. Some ethanol companies created leadership structures that would be more responsive to risk – it’s not enough to assume profitability follows simply from maximization of production. Other ethanol companies sought balance; while it is notoriously difficult to forward-sell ethanol, the notion of obtaining a quantity of grain and then quickly marketing all the ethanol it would produce seems in hindsight like the sensible approach. Still other companies are seeking strategic relationships, particularly in the marketing area, to serve them better and help lay off some of the risk. And in a triumph of poetic justice, farmer-owned companies capitalized on their experience and actually picked up a bargain in the midst of the general distress in the industry. Investment banker Mark Lakers, one of a handful of experts who predicted the extent of the ethanol industry’s financial challenges in 2008 insists, however, that these have always been the rules observed by the winners of the game. He goes further and notes that every maturing industry in 20th century America consolidated – shrinking from hundreds of major players down to a handful. Ethanol can’t expect to be exceptional, according to Lakers, who is president of Agriculture and Food Associates, a specialty investment bank based in Omaha that does transactions for investors in renewable energy, agriculture, food manufacturing, and related industries. The smart players will do everything in their power to understand where they stand relative to the competition, in order to build or maintain the value of their company, with the object of selling out at the right time, Lakers believes. Lakers, who considers himself a student of industry consolidation, notes that in the past few decades some people became very wealthy by selling their beer companies to Anheuser-Busch. It’s all a matter of timing. The 200 beer companies in 1970 are now Anheuser-Busch with 60 percent of the market, Miller with 25 percent and a dozen other companies sharing out the rest, he said. “Contrary to what people say, no one is smart enough to say either when (consolidation) will happen, or at what rate,” Lakers said. There are five or six drivers of consolidation, and perhaps at the top of the list would be new technology and the cash to buy it. Companies so favored will be able to produce more ethanol and coproducts at lower cost and so achieve a higher rate of return over the longer term. With the entrance of Valero, the nation’s largest oil refiner, consolidation in the ethanol industry can no longer be denied. Houston-based Valero, a massive consumer of ethanol, purchased seven plants from bankrupt VeraSun Energy in March 2009, and then won approval to buy two more VeraSun plants and a Renew Energy plant. When the dust settles, Valero will own 1.1 billion gallons of ethanol production capacity. Two years ago it owned none. One might wonder how the principals of Guardian Energy convinced the banks to do what they did. The banks sold the 110 million gallon per year (mgy) Janesville, Minnesota plant to a group of six farmer-owned ethanol companies in a financing that featured a debt-to-equity ratio of six-to-one. The answer is experience. Randall Doyal, CEO of Al-Corn Clean Fuel in Claremont, Minnesota and interim CEO of Guardian Energy during the acquisition, has 28 years experience in the ethanol industry, 14 of them running Al-Corn. The managers of the other companies also brought lots of experience into the deal. In contrast, when Al-Corn went online in 1995, and the dry-grind ethanol industry was largely unproved, the banks required a 50-50 split of equity and debt. The Guardian Energy model represents a number of strengths, Christianson believes: depth of industry knowledge, diversity of locations and even technologies among the six owners, and the heavily discounted purchase price (well below construction cost). Guardian Energy was a one-off deal with each of the six companies participating in ownership according to its own sense of what it could afford and its own appetite for risk, Doyal said. Christianson and Associates PLLP has developed its Biofuels Benchmarking System, a software database that has attracted 50 ethanol companies who input financial and operational data and can gauge how they are performing in terms of profits, costs, and efficiency. In the near future the system will also measure environmental footprint factors. Just as financial conditions hit their worst, Glacial Lakes Energy was bringing its new plant in Mina, South Dakota, a 110 mgy plant, on line. That facility doubled the company’s output. Its Watertown plant produces approximately 110 million gallons annually. With the mounting difficulties, financial and technical, Glacial Lakes could see that it needed a new approach in order to protect the investment of its 4200 shareholders, most of them farmers from South Dakota. The management and board put their heads together and designed an entirely new structure of committees to help direct the company’s operations, including a new risk management committee. “We formed our new risk management committee about a year ago,” Seurer said. “Previously, the risk management committee was made up primarily of management, and there wasn’t much focus or leadership, so we tapped four board members who had familiarity and expertise with the process of risk management to serve on the committee. The approval by Glacial Lakes Energy’s banking group was the real stamp of approval, Seurer feels. The banking group insisted on a new structure before any more hedging could take place. The committee meets every two weeks, and also benefits from new talent brought into the senior management ranks – the company CFO and its new Director of Grain Commodities, both whom have prior risk management experience. The six companies that bought the Janesville plant didn’t just find each other for this opportunity. Al-Corn, Golden Grain Energy, KAAPA, Heartland Corn Products, Central Minnesota Ethanol, and Chippewa Valley Ethanol are all owners together of the marketing service they share called RPMG. In 1996, unsatisfied with their ethanol marketer, Heartland and Al-Corn began developing what would become Renewable Products Marketing Group. This company has become the third or fourth largest marketer in the U.S., according to Doyal. Short of starting one’s own marketing service, many ethanol companies will be shopping around for a better fit in their marketing service going forward. Redfield Energy, LLC, an ethanol company 70 miles west of Watertown in South Dakota produces around 53 million gallons per year. The farmer owners found out the hard way that the risk was too much for them to handle on their own. After living through that pain, Redfield found what they feel is an excellent strategic partnership: South Dakota Wheat Growers, a full service elevator group, has taken over a hundred percent of their grain-supply needs. The most fundamental relationship for an ethanol company is with its financial underwriters. Another key issue in the lender-ethanol company relationship is liquidity. Finding the right strategic partners for marketing and banking, fine-tuning risk responsiveness, adopting a strategy that makes for positive margins more consistently over time and build the value of the company – either to woo future buyers or to become the one who can buy other companies – these are the old rules that look brand new after the ethanol financial rollercoaster of 2008 and 2009.